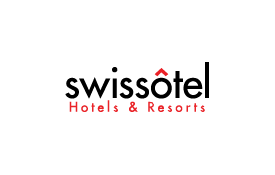 Swissôtel Hotels & Resorts provide guests with the opportunity to stay in the heart of more than 30 top locations worldwide, where they can confidently explore the very best each destination has to offer. Synonymous with all there is to love about Switzerland, the brand remains true to its roots, combining genuine Swiss hospitality with intelligent design and local flair. With social responsibility at the forefront and a genuine commitment to positively impact the destinations it calls home, every Swissôtel upholds industry-leading sustainability standards and is committed to treating guests, colleagues, and the environment with equal respect. Earn Miles on stays at award-winning Swissôtel Hotels & Resorts in main gateway destinations and city centres across the world. Please quote your Emirates Skywards membership number when booking and present your card upon check-in and/or at the point of purchase. The minimum conversion amount is 4,000 points. Emirates Skywards members will be able to claim missing Miles until June 30, 2019, for stays booked at Swissotel and completed on or before July 1, 2018.